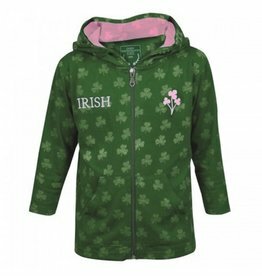 Perfect for your Irish Lassie, our Shamrock Zip Hoodie features shamrock and “IRISH” embroidered details! 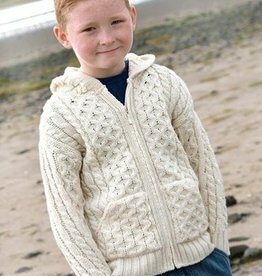 Childrens Traditional Button-up Irish Sweater! This fisherman style, features beautiful Aran stitches, buttons, and pockets! Durable and warm, this sweater is made for boys and girls! Wicking fabric for endurance and comfort wear. 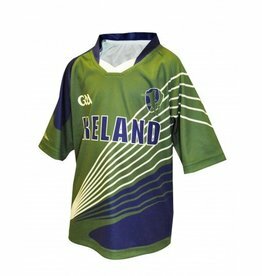 Celebrate St. Patricks Day in style with our Shamrock Crayon Kelly Green Shirt! Look for matching styles for youth and adults! Look for matching styles for toddlers and adults! 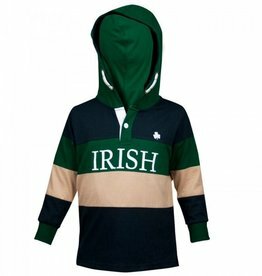 Our adorable Hooded Rugby features IRISH across the chest and emroidered shamrock detailing! 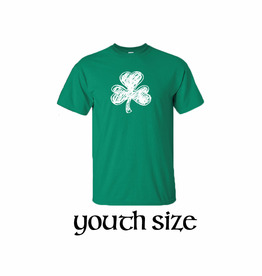 Perfect for any wee Irish lad or lassie! 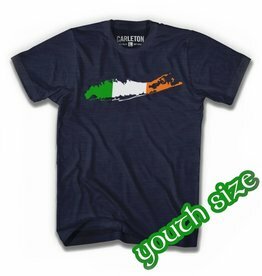 CarlEton Irish Long Island t-Shirt. Kelly, White and Orange Ink on Navy Heather Shirt. Hand pressed on 50/50 tee. Soft and slim fit.